Join Dayton TOP Soccer where EVERYONE's a winner! 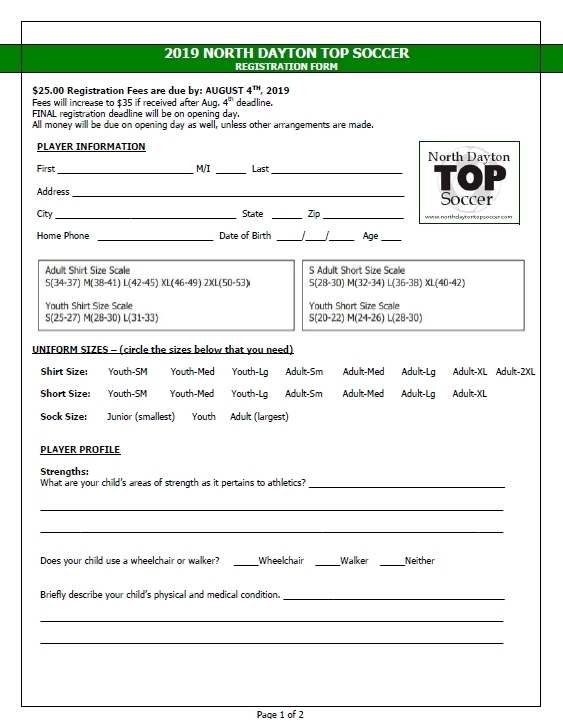 Pre-Registration deadline for August 4th, 2019 - fees received on or before this date are $25. Fees will increase to $35 if received after August 4th. FINAL registration deadline will be on opening day. All money will be due on opening day as well, unless other arrangements are made.